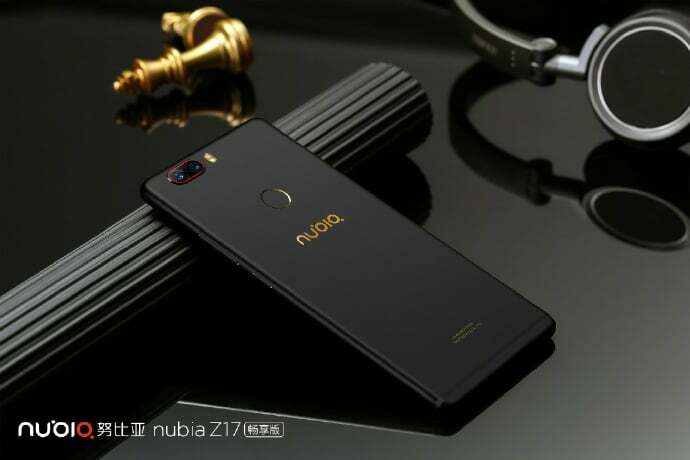 Chinese brand Nubia has launched another smartphone under its newly announced Z17 range of smartphones. 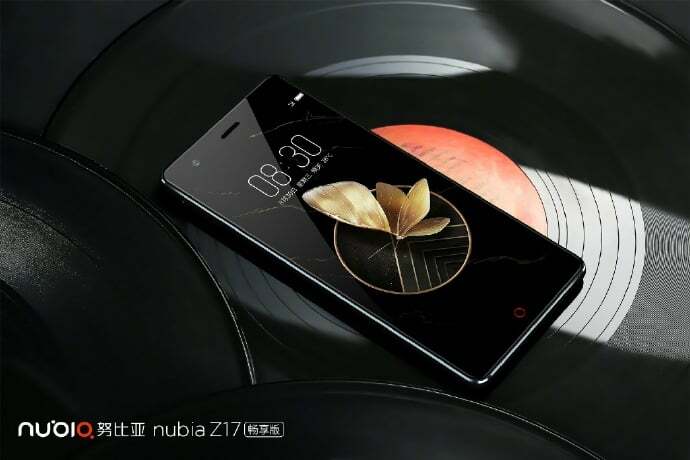 The new smartphone is named as Nubia Z17 Lite, which retains the dual camera setup and 6GB of RAM from the flagship phone Nubia Z17, but comes with a mid-range processor. The device will be first available in the company’s homeland China for Yuan 2499, which roughly translates to Rs. 24,700. As of now, there’s no info on when Nubia is launching the Z17 Lite in India. The smartphone will be made available in gold, blue, and black variants. There’s a premium 6GB and 128GB storage variant as well, which is priced at Yuan 2999 (approx. Rs. 28,900). Speaking about the specifications, the Z17 Lite flaunts a 5.5-inch Full HD TFT display with a resolution of 1080×1920 pixels. The display is protected by Corning Gorilla Glass technology. At the heart of the phone, there’s an octa-core Qualcomm Snapdragon 653 chipset, clubbed with a massive 6GB of LPDDR3 RAM module. The phone comes with 64GB of internal storage, and sadly, there’s no microSD card slot for storage expansion. The highlight of the Z17 Lite is the dual camera setup at the back. There are two 13MP sensors in the phone, of which one 13MP sensor captures RGB shots, while the other one captures monochrome shots. Nubia also added a powerful 16MP front-facing camera on the phone. The smartphone also has a fingerprint sensor placed at the back, within reach of your index finger. This entire package is backed by a 3200mAh battery, and the smartphone boots Nubia UI 4.0 built on Android 7.0 Nougat. The device also has Qualcomm Quick Charge 3.0 support. 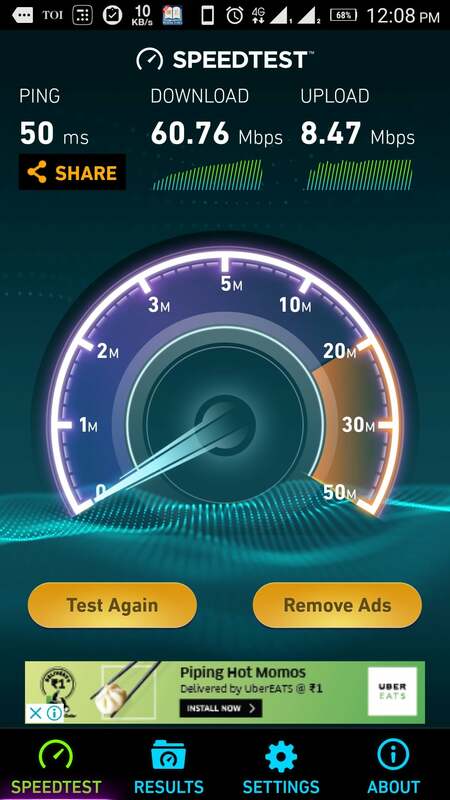 Connectivity options in the phone include 4G LTE, VoLTE, Wi-Fi 802.11 b/g/n, Bluetooth, NFC, and USB OTG. The device also comes with DTS Surround sound enhancement to tune the audio in the device. As said earlier, it is still unknown when Nubia is planning to launch the device in India. If at all, the company brings it to the Indian market, the Z17 Lite will give a stiff competition to the Coolpad Cool Play 6. 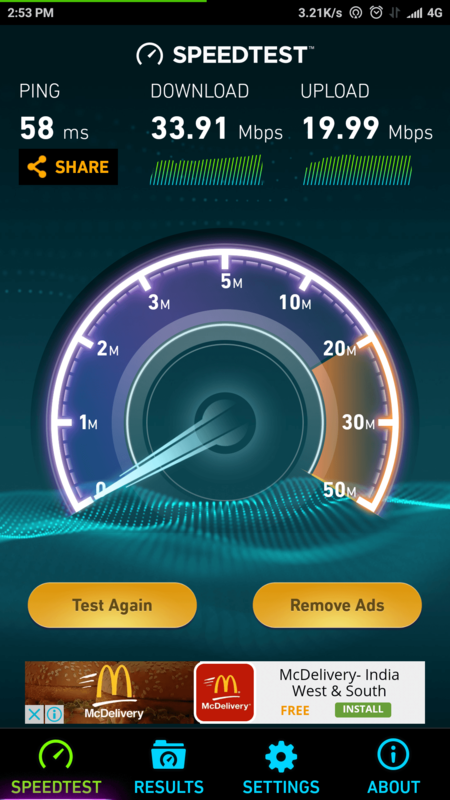 In TVM kerala Idea gives around 40 mbps speed .